1. 中国居民膳食指南(2016) [M]. 中国营养学会编著. 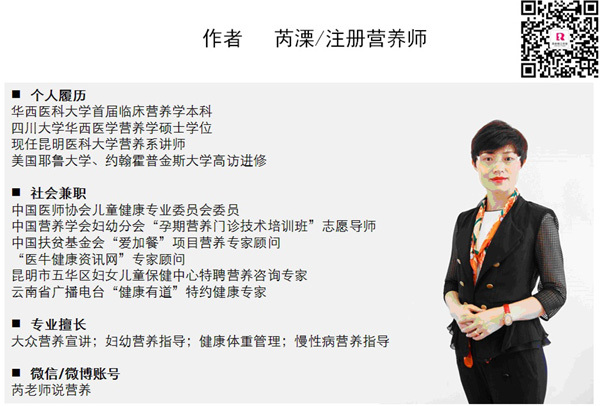 —北京：人民卫生出版社，2016. 2. 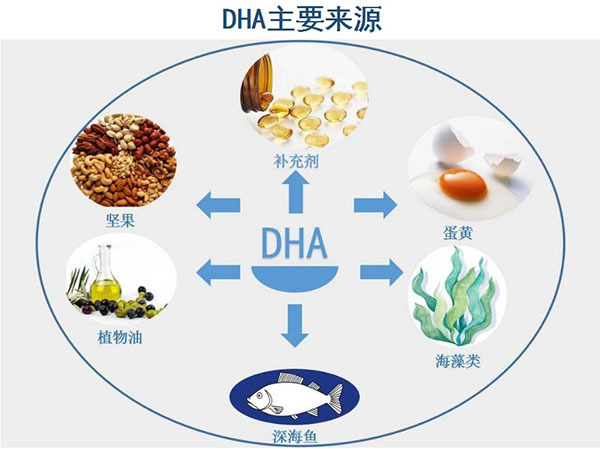 中国孕产妇及婴幼儿补充 DHA 共识专家组. 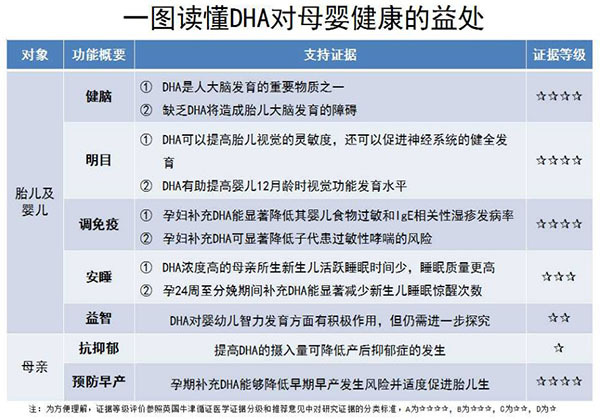 中国孕产妇及婴幼儿补充 DHA 的专家共识[J]. 中国生育健康杂志, 2015(2). 4. Miyake Y, Tanaka K, Okubo H, et al. Soy isoflavone intake and prevalence of depressive symptoms during pregnancy in Japan: baseline data from the Kyushu Okinawa Maternal and Child Health Study[J]. Journal of Psychiatric Research, 2013, 47(5):572-8. 5. 曹万新, 孟橘, 田玉霞. DHA的生理功能及应用研究进展[J]. 中国油脂, 2011, 36(3):1-4. 6. Koletzko B, Agostoni C, Bergmann R, et al. Physiological aspects of human milk lipids and implications for infant feeding: a workshop report[J]. Acta P?diatrica, 2011, 100(11):1405–1415. 8. Dunstan J A, Simmer K, Dixon G, et al. Cognitive assessment of children at age 2(1/2) years after maternal fish oil supplementation in pregnancy: a randomised controlled trial[J]. Archives of Disease in Childhood Fetal & Neonatal Edition, 2008, 93(1):F45. 9. 孟丽苹, 张坚, 王以群,等. 不同水产品消费地区孕妇脂肪酸摄入量调查[J]. 营养学报, 2008, 30(3):249-252. 10. Lauritzen L, J?rgensen M H, Olsen S F, et al. Maternal fish oil supplementation in lactation: effect on developmental outcome in breast-fed infants.[J]. Reprod Nutr Dev, 2005, 45(5):535-547. 11. Birch E E, Garfield S, Hoffman D R, et al. A randomized controlled trial of early dietary supply of long-chain polyunsaturated fatty acids and mental development in term infants[J]. Developmental Medicine & Child Neurology, 2000, 42(3):174–181.